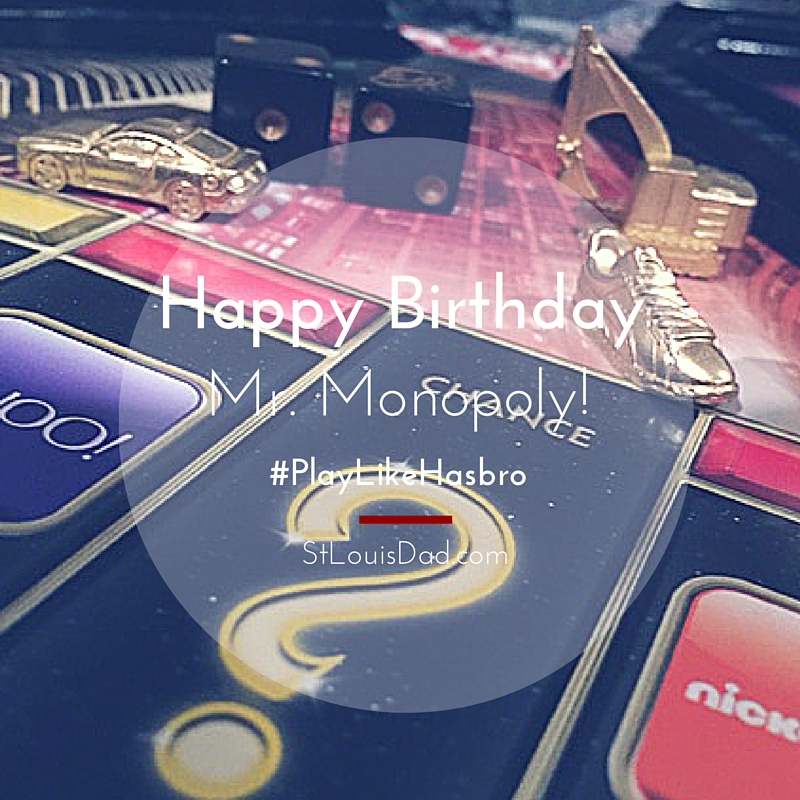 Did you know that today is Mr. Monopoly’s birthday? If you didn’t now you do. Because of this today is also known as World Monopoly Day so grab your games and get the family around the table to play the game that first game that ever taught us about managing money. 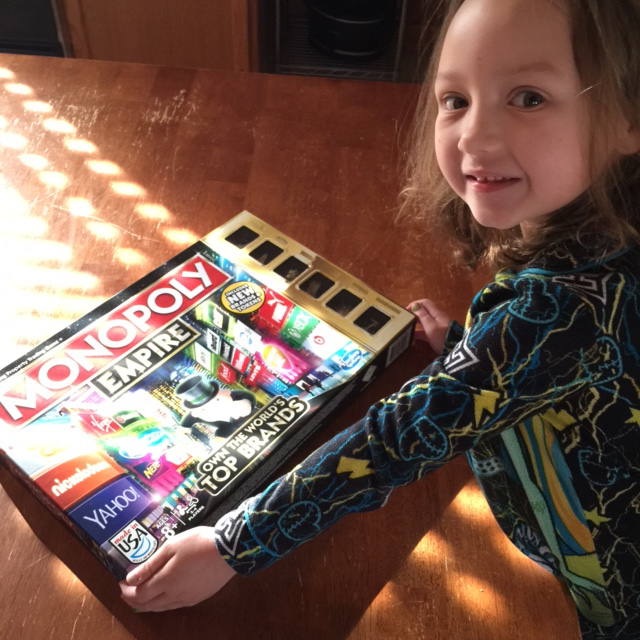 Hasbro sent over the Empire version of Monopoly for us to play for World Monopoly Day.Instead of your standard Boardwalk, Park Place, etc properties, you have brands such as XBOX, Beats By Dre, Nerf, Heinz, etc… There are also towers (Trump Tower? ), tokens, billboards, money, and a few other pieces. My favorite is the XBOX controller, but I do miss the iron. After going over the rules we all picked our pieces and began our adventure. Turns out, the kids are not that great with money. 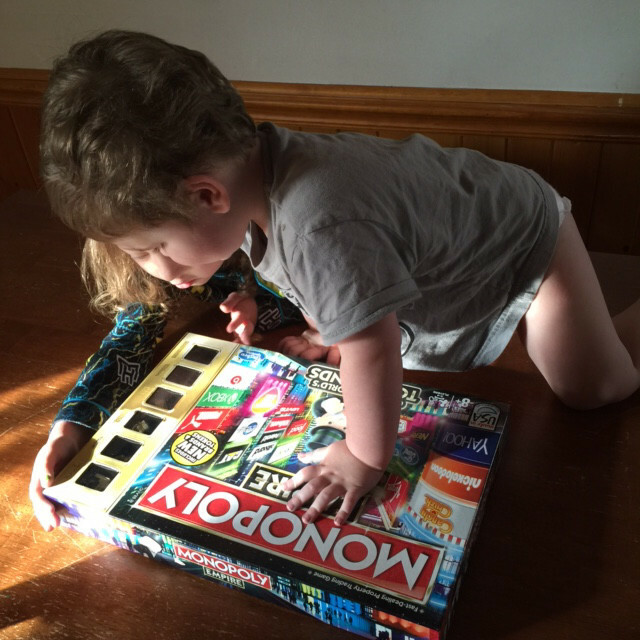 I probably should have started them off with Monopoly Junior. But that’s my mistake. My wife and I both agree that the branded theme of Monopoly Empire is really cool. We plan on bringing the game along with us to our family gatherings. 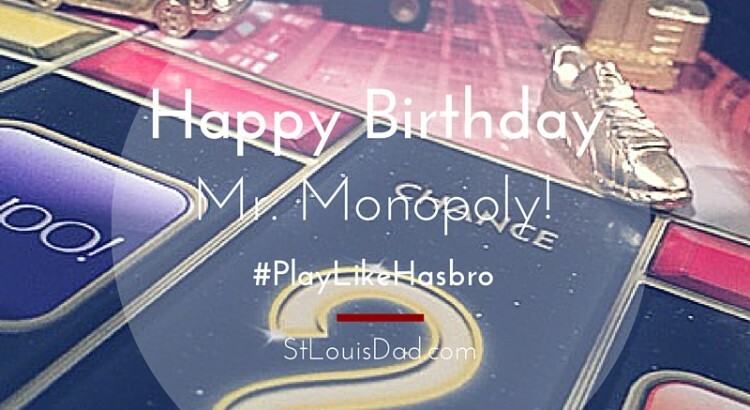 You never know when the opportunity might arise to play a few rounds of Monopoly. Monopoly is one of those games that has spanned a few generations and probably everyone has at least played the game once. It’s easy to follow and shouldn’t be a problem to get a game going. All you need is two players to play! My wife ended up taking me to the cleaners in our game on World Monopoly Day. The kids gave up rather quickly, so we just split their assets like any reasonable parents. I can see many more chances to get out the game and give the kids a lesson in economics. The quality of the board and the pieces should hold up well over the years, plenty of life to #PlayLikeHasbro. Happy Birthday Mr. Monopoly thank you for all of the years of fun! Monopoly has been around for a long time now, check out these 10 great little known facts about Monopoly.